Dr Sonia Kamboj is a New Orleans native who completed undergraduate, medical school, and internship at Tulane University and Tulane School of Medicine. Dr Kamboj relocated to Washington, D.C after Hurricane Katrina where she completed her pediatrics residency training at George Washington Medical Center and Children’s National Medical Center, top 10 nationally ranked institutions. 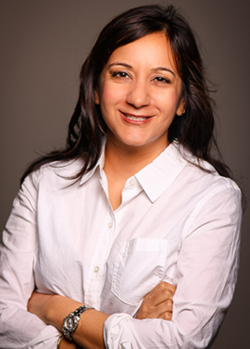 Dr Kamboj finished her fellowship in Allergy & Immunology at Thomas Jefferson University and Alfred I Dupont Hospital for Children in Philadelphia, PA. After completing of her training, she joined one of the largest allergy specialty groups in metro Atlanta where she practiced for 3 years. Recognizing the need for her board certified specialty in the New Orleans area, Dr Kamboj decided to return home and open a practice to help her community. Dr Kamboj specializes in adult and pediatric allergic diseases of all types with special emphasis on asthma, sinus/nasal allergies, skin diseases and food allergy. In her spare time, Dr Kamboj enjoys live music, running, yoga, and painting.